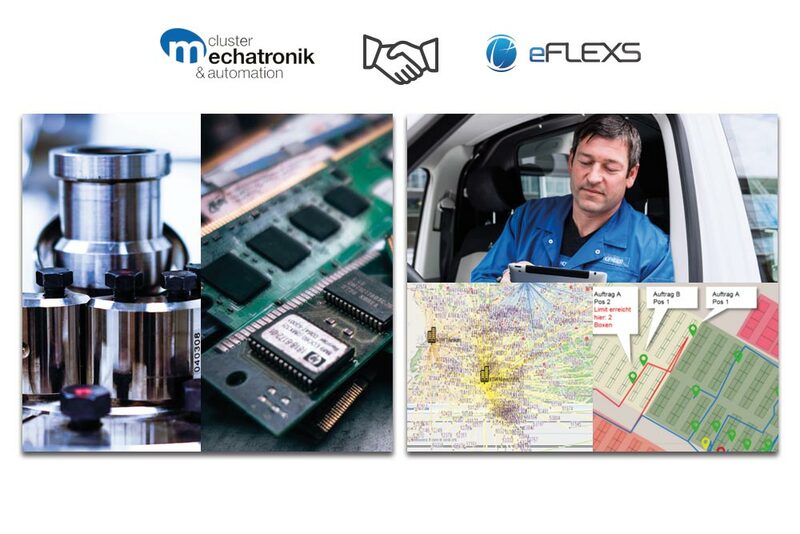 We are proud that eFLEXS is a new member of the Cluster Mechatronics & Automation, one of the most active innovation networks in Germany, which emerged from the former Bavarian competence network for Mechatronics. The main goal of the cluster is to bring together small and medium-sized companies in Bavaria, which in the past have been less able to focus on research, with the cluster experts and to support them in implementing innovative solutions in the fields of mechanics, electronics, and computer science. The Cluster Mechatronics & Automation helps its members to find suitable partners for future-oriented cooperation projects and focuses on the exchange of technological and organizational know-how. In the cooperation with the cluster, eFLEXS wants to provide the most innovative solution for service management and the execution of technical services in the relation between different enterprises. By combining technology, software, and automation, eFLEXS aims to optimize service processes with mobile value-added components and increase their efficiency and productivity. Especially in the automation of service processes and their 100%-digital execution across company borders, a large number of organizations will find a substantial potential for gaining efficiency and productivity.